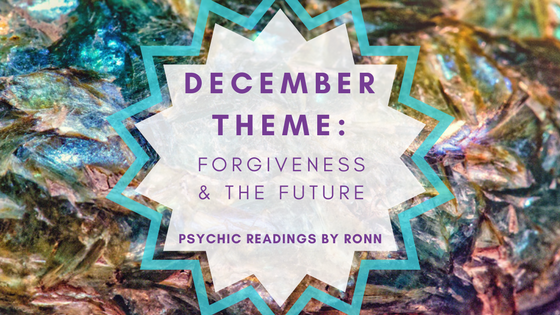 At this time of year, we start thinking about the future and forgiveness. The new year often brings new energy. In 2017, the planetary energies have been encouraging a new direction. You must be willing to adjust your perspective and simply let go. High emotion ruled 2016 with political upheaval, leading to some difficult adjustments for all. The planetary aspects for the end of 2017 have been far different than they were for the end of 2016. To bring us into the new year, let’s reflect with our zodiac signs on things to come at the end of 2017 and moving into 2018. Aries will be called upon by destiny, karma, and fate to mix things up. You will have a stronger voice, relationships will be important, and you will face several big decisions. Taurus will be extremely busy both with home projects and with work related projects. This will require you to prepare for some balancing. All of this hustle will lead to important turning points regarding your family and career. Gemini will have a lot more support through the end of the year than they have been feeling previously. Saturn will push you to discover your capabilities, and this will open up more opportunities. If you plan and focus well, you too will see positive changes to your career. Cancer will be pushed to make big changes in 2018. While this can be daunting, you will be happy to embrace something new. You will see career developments in the making, and any changes you make will bring you fruitful success towards the year’s end. Leo will have two eclipses within their sign, delivering important beginnings and endings. The sky's the limit with big decisions, changes, goals, and the potential for success in the new year. Virgo will gain courage this December, and must use all their new confidence to their advantage. This confidence can work to your advantage in both your personal and professional life. Don’t be afraid to go out and gain what you seek. Libra will desire a change and will subsequently be influenced by Jupiter’s luck. This happens only once every twelve years, so take advantage of all opportunities that come your way. Be weary: these opportunities will offer an unusual, new twist to your life. Scorpio will see great change in the new year. You should feel encouraged to use the first part of the year to plant your seeds and refine your plans, be it in business or in your personal life. Just like Libra, lucky Jupiter will emerge later in the year and you can harvest your crop. Sagittarius will see their focus and hard work pay off, with a significant opportunity coming to you in November. You will see developments in both your family’s life and in your own home; any restructuring done to adjust to these developments will prove to be useful. Capricorn needs to make major changes because as you will crave seeking a new direction in life. The growing energy surrounding your life will push you to mix things up. It’s okay to be a bit rebellious and break a few rules; the lights will shine down on you. Aquarius will find the key to successful relationships, and the differences you have with your partner and loved ones will be showcased. In the coming year, you must say some goodbyes in order to embrace something new. Lucky Jupiter will work for you as well, particularly in September. Pisces will be met with some major twists and turns in 2018. You’re encouraged to plant seeds to prosper, because they will pay off late in the year. Do not let your emotions interrupt your focus. When Jupiter moves into Scorpio, you will be able to take control of your opportunities. No matter your sign or spirit, great change with exciting opportunities are to come in 2018 for all. As you take this time to reflect and prepare for the new year, be sure to embrace all of the positive gifts that have come to you in 2017. What Color Is Your Aura? And What Does It Mean? People can hide many things about themselves, but the color of their aura is not one of them. How you feel, what you think, and even what you dream about are clearly reflected in auras. Keep in mind the intensity of a color can vary, so it's important to consider the exact shade when evaluating your aura if you want to be precise. 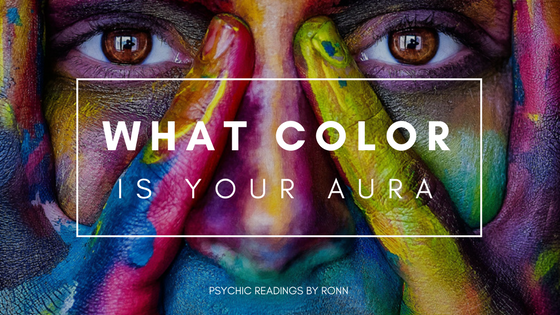 Multiple colors in an aura aren't unusual but one of them will typically dominate the others. Each color and shade of an aura has a different meaning. Your aura is directly tied to the events going on in your life and how your body’s energy is responding to them. They can also be indicators of illness or healing. Here, we’ll go through each color family to learn more about what each color means. A black aura means you have negativity within you that you need to let go. It could also indicate disease or a health issue. This has been considered an excellent early warning sign to get to a healer as soon as possible. Other dark colors may indicate blocked energy sources inside your body that need to be tended to. Having a gray aura also can signal blocked energy fields and that you lack the ability to trust. White auras show freshness, goodness and purity. People of faith on the verge of passing from this world to the next often have white auras. Bright orange auras represent good health and a zest for life. However, extremely bright shades of orange can occur when someone is attempting to conquer an addiction or move past emotional issues that are bringing them down, requiring a lot of energy. Orange-red auras indicate healthy personal strength and confidence. Those with an orange-yellow aura tend to have a scientific mind with the soul of a perfectionist. This aura revels in mentally challenging, detailed work. Yellow auras can be tied to the spleen and to your energy level. They can also be an indication of the state of your "chi." Bright yellow indicates spiritual inspiration or an awakening. This color is associated with cheerful people who often act on their thoughts instead of letting them sit and stagnate. Dark yellow with tinges of brown shades are generally found among students that feel an urgency to achieve their goals and do well at any cost. Learning isn't a joy for them anymore and becomes more of a duty. Lemon yellow represents fear of loss over emotional as well as material things. Pale yellow usually indicates a recent spiritual experience or that you've found latent psychic abilities within yourself. This brings a renewed excitement for life in general and makes the future appear so much brighter. Red auras can be misinterpreted if the exact shade and intensity isn’t recognized. There are several types of red auras, and the meanings behind them span across the entire emotional spectrum. Red is a very powerful color to find in your aura, and it can either be positive or negative. Since red represents blood, it can either attract, or repel negative energies. Dark red is the color of a survivor that has both feet planted firmly on the ground and the ability to make it through any circumstance, no matter how extreme. Brilliant red indicates a competitive nature as well as passion and energy. Clouded red is very negative and represents anger that you need to let go of. Pink means you tend to be a loving, sensual person who enjoys life's finer things. Psychically gifted, beautiful people are often found to have pink auras. Dark pink is very negative. This color is associated with people who can't be trusted and show a tendency towards immaturity. Blue is tied to the throat and thyroid. This color tends to be intuitive and loves helping others. You tend to keep your head in a crises and others know they can depend on you. Royal blue indicates spiritual intuitiveness or clairvoyance. This would mean you have a spirit generous towards others and aren't afraid to try new things. Dark or cloudy blue means you have a hard time trusting the future and refuse to face truth if it interferes with your ability to take control. Light blue is associated with truth and serenity as well as skill in communication with others. Green is tied to the heart and nature. This color is most often associated with those who work to improve the lot of others. Forest green is for natural healers tied to nature and the use of herbs for healing purposes. Yellow-green is for communicators such as sales people, writers, musicians or actors. Dark or cloudy green is indicative of extreme jealousy and resentment. This color refuses to acknowledge responsibility for decisions or consequences of their actions. Turquoise is the color of powerful healing. If your doctor, healer or counselor doesn't show this color aura it may be best to choose one that does. Purple hues are tied to the pituitary and pineal glands as well as the nervous system. Violet is the color of a true visionary that believes the world can change with enough spiritual love. Indigo's are thought of as wise, able to see into other world or realities. Silver and gold is considered extremely positive and spiritual. In many cultures, silver is the color of currency, or money. Because of this, physical and spiritual wealth are typically associated with bright, shiny silver auras. Gold indicates that you have celestial beings watching over you and that you are being encouraged to reach out for all that life offers. Dark or murky brown auras typically indicate a hold on to personal power beyond all sense or reason. People with this aura tend to be afraid of sharing themselves with others. Rainbow auras are most often associated with healers who specialize in the body's energy fields. Spiritually, those with this aura are thought to be highly evolved and tuned in to the fifth dimension, which experts say is actually the heavens. Knowing what your aura color means provides understanding and can bring order to chaos. Those emotions, thoughts or memories you had hidden and buried lose their power to hold you back once you recognize them for what they are. With dedication and patience, you can change the color of your aura from not so good, to excellent. We all crave to feel more comfortable in our skin. We read self-help books and exercise and search for answers at every turn to find that feeling of wholeness. While the items listed above mark great places to start, the answers are really inside of us at all times. Many have explored this deep, inward reflection and have turned to practices found within Buddhist and Hindu religions which require you to recognize your chakras. There are 7 types of chakras inside all of us. Where you need to start, however, is with your root chakra; also known as Muladhara. The Muladhara - the root chakra - is the first chakra in the series of 7. By taking care of our root chakra, we will feel security, a sense of being grounded, and will feel a foundational support for living our lives mentally and physically. The root chakra is where you ask your most fragile questions surrounding survival, health, and safety. Restoring your chakra will give you control over your health, wellness and happiness, all by learning how to work with energy. 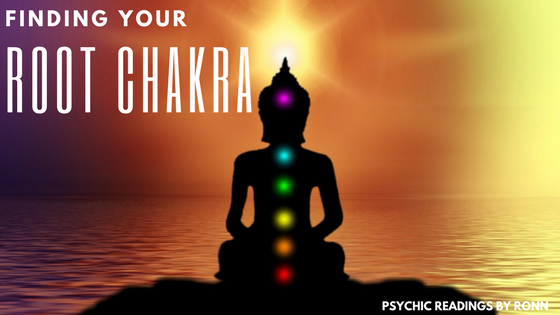 The best way to speak to your chakra and nurture it’s power is to meditate. As the root chakra is located near the pelvis and bottom of your spine, you will want visualize your energy towards this area. Visualization of feeling grounded, connected with the earth, and steadying your core is crucial to fixing the disturbance. To learn more about the root chakra and how to regain control over the balances within your body, stay tuned to my blog for more. The recent solar eclipse had a heavy effect this September. With a new moon on the horizon, a solar eclipse on the same day, and the even happening late in Leo’s cycle, it wasn’t difficult to feel uneasy and anxious. When many elements like this occur at the same time, our energy, bodies, and minds can be looking for some stability. September is a wonderful time to regroup as we head into the Fall season - and there are deeper reasons other than constant advertisements for kids going back to school, making us relive our own sense of preparation during this time of the year when we were young. 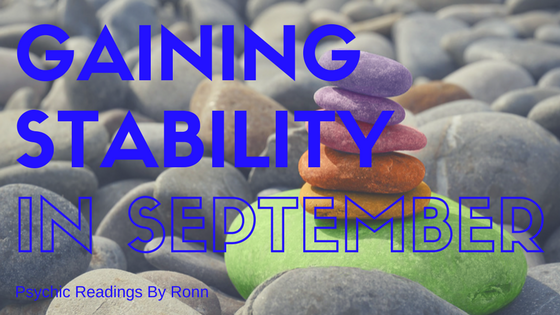 During the month of September, three astrological signs have a spotlight on them. These three signs are Leo, Virgo, and Libra. All bring different essential qualities and variations in personality, but during this time of their pairing, new themes will be brought to life that tie them all together. As Leo, Virgo, and Libra signs connect, feelings of personal reflection and relationship building focuses will be highlighted. To focus on personal reflection and to strengthen relationships, there are many practices that you can follow. Meditation is always essential to feeling clear, and some meditation tips for finding your root chakra can help as you move through the month. I recently blogged about the practice of finding your root chakra, which you can access here. 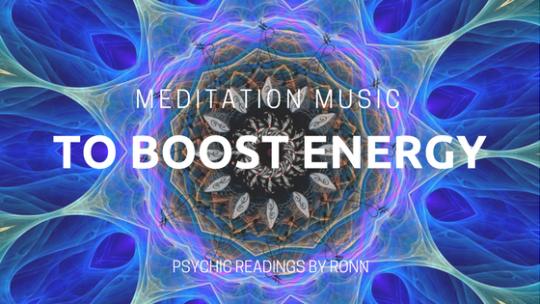 Heading into the Fall and Winter months, your energy will also want to shift towards leaving painful elements behind, finding your stability, and moving forward in new adjustments both personally and with others. It’s natural that our bodies want to find stability during this time as the Summer months are much more carefree in spirit. Fall and Winter ground us simply due to weather elements on earth, but it also gives us a chance to work on our disrupted energies. Moving forward in September, the key will be to recognize what your energies are telling you and to pursue the chance to stabilize any areas that have been effected. If you feel that you have issues within your relationships, there is a cosmic reason why. And when the cosmos are involved, it is always wise to listen.